I am always on the lookout for new products to try! Whenever I hear that something new, cool and comfortable has been recently launched, I love being involved. My purpose here is to help other Moms and Dads looking forward for this peaceful moment when they lay down and relax every inch of their body on that mattress. Aren’t you tired of searching for the right bed or pillow? Not only it’s time consuming, it is really mentally tiring and draining. You might end up buying the wrong item only because you want to be done with the search. I am mostly curious about what makes a major brand name so unique. TEMPUR-PEDIC happen to have a store conveniently located a couple of miles away from my house which is perfect! Time to buy a new pillow, and that’s exactly what I did. 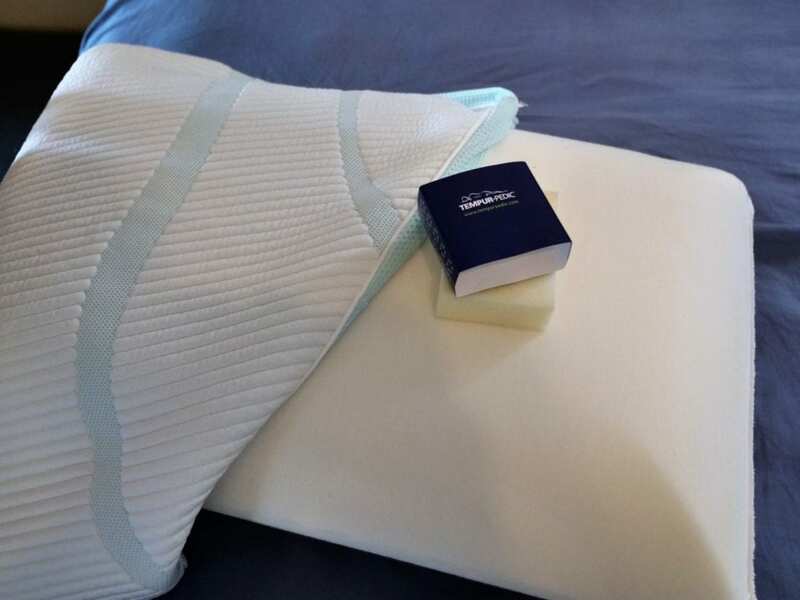 First of all, I want to know what makes TEMPUR-PEDIC so very special- I am pretty sure almost everyone is familiar with this popular brand- Second, I have heard they have launched their latest pillow: TEMPUR-ADAPT® ProHi + Cooling Pillow. The premium knit cooling cover provides cool to touch comfort! You can feel it right away, it is definitely there. It adapts to your head to keep your neck and shoulders comfortable. It regulates its internal temperature to your heads’ . It is confusing when you see on the box it is recommended for side sleepers, than on the same exact box that it is for all types of sleepers! The soft one is WAY TOO SOFT, your head will sink in the pillow. Surprisingly, The Medium which is supposed to be the perfect combo between Soft and Firm is still a little too soft for me. I personally preferred the pillow with the firm feel! What is Inside & outside the Pillow? High profile for all types of sleepers. Ultra- supportive TEMPUR technology for personalized support. Exclusive TEMPUR technology precisely adapts to your head, neck and shoulders. Premium knit cooling cover. Stays cool to the touch and throughout your sleep! On the cover, as well as the edges, you will notice breathable, high- stretch material. Allowing better air flow. Who Should Buy the ProHi ? The name or the title of this pillow is within it, “High Profile”! Not only the name says it all, “High Profile”, but quality itself is in the name. It is proven here that sometimes a major brand name is well worth digging into deep to find out if it is really worth the price and all this hype? Is it really a good purchase if it is a popular brand? One thing that personally got me wondering was that on the box it says, “for side sleepers” and then it also says, “for all types of sleepers”. I found out, and after testing it, that it is suitable for all types of sleepers . Especially if you go with the Firm level of comfort. The Firm to me turned out to be the right combo that balances Soft and Medium perfectly. 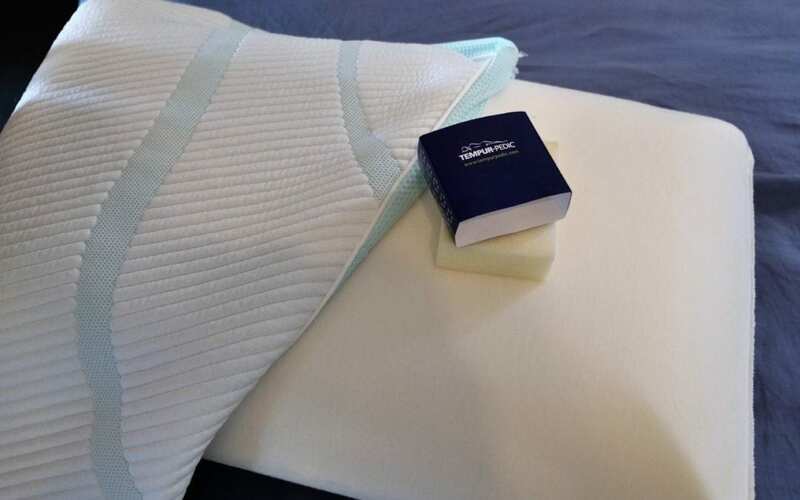 Considering the fact that TEMPUR- PEDIC has managed to pull off yet another successful product such as the PROHI + Cooling pillow- and I cannot wait for the day I can test one of their mattresses- I say absolutely go grab yourself one of their PROHI Cooling pillows! It is worth the try and the price.